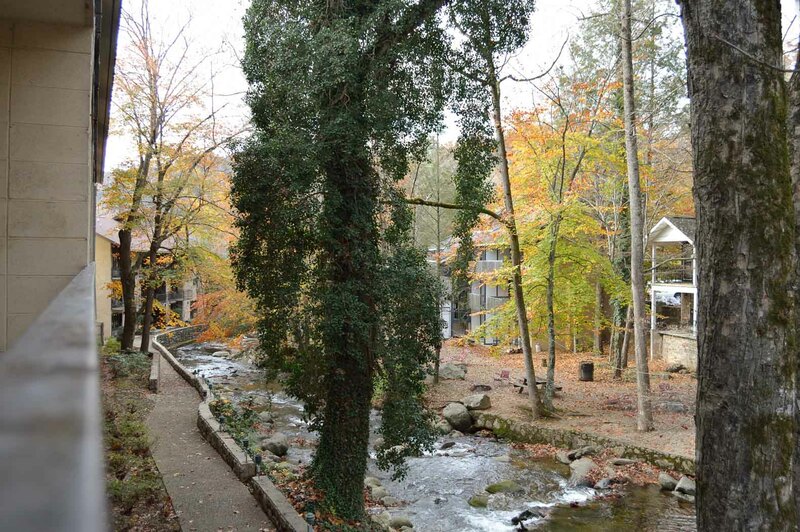 Views of Great Smoky Mountains National Park create a postcard-perfect backdrop for Brookside Resort’s collection of guest rooms and suites. 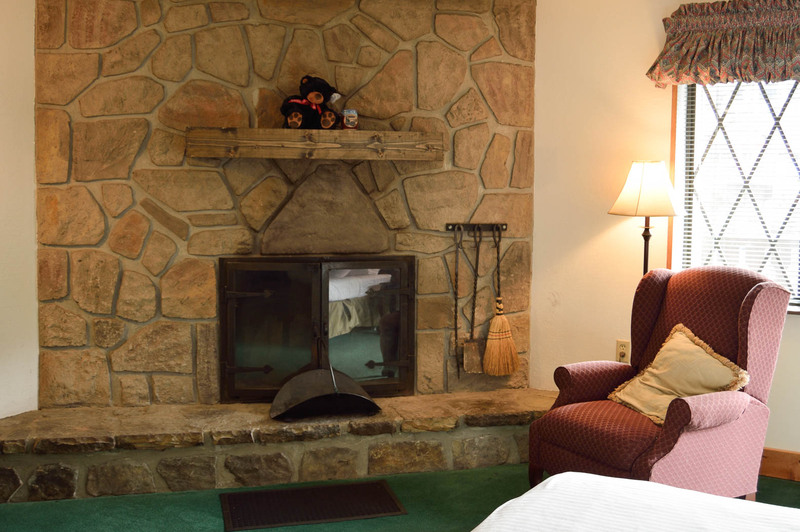 Tucked in three buildings on the resort’s wooded ten-acre expanse, all feature private balconies, and many have wood-burning fireplaces and handcrafted furnishings made by a local artisan. Blending rustic comfort with modern conveniences, the hotel’s 100 Gatlinburg guest rooms and suites feature flat-screen televisions, in-room safes and free WiFi. 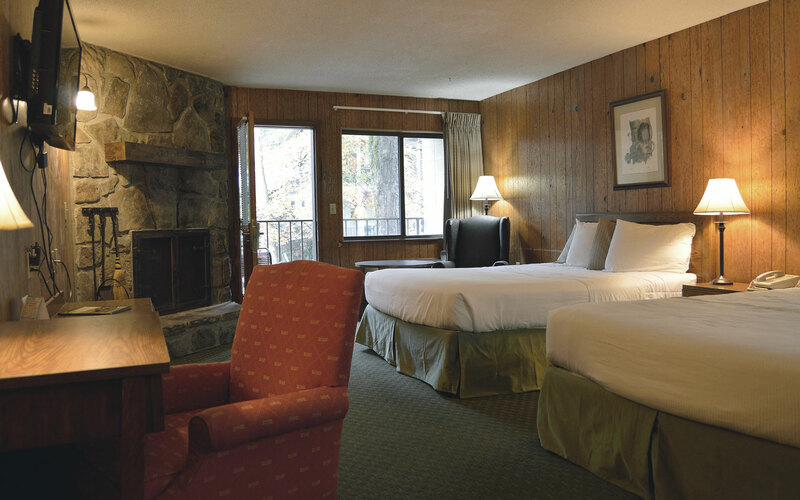 Accommodating up to five guests, our standard 2 double beds guest rooms offer views of the Roaring Fork Creek or Great Smoky Mountains from private balconies. 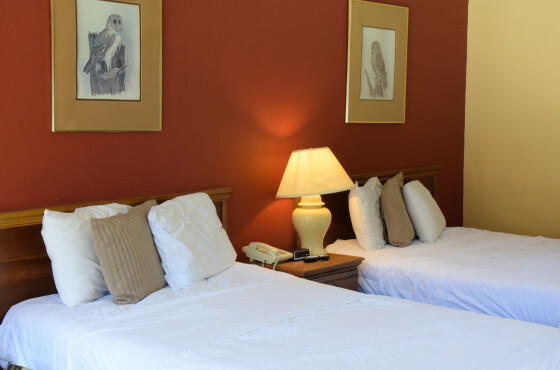 Furnished with two double beds, these rooms offer complimentary WiFi, flat-screen cable TV, coffeemaker, microwave, mini refrigerator, hairdryer, alarm clock radio, and private bathroom. 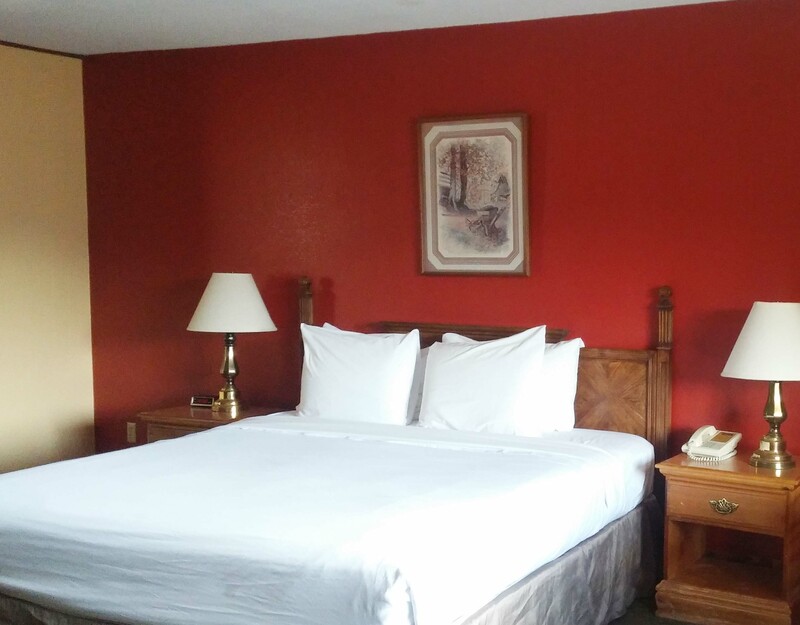 Featuring views of the Roaring Fork Creek or the Great Smoky Mountains, our spacious King guest rooms are furnished with one king bed, complimentary WiFi, remote control flat-screen cable TV, coffeemaker, microwave, mini refrigerator, hairdryer, alarm clock radio, and private bathroom. Balcony and wood-burning fireplaces upon request (subject to availability). 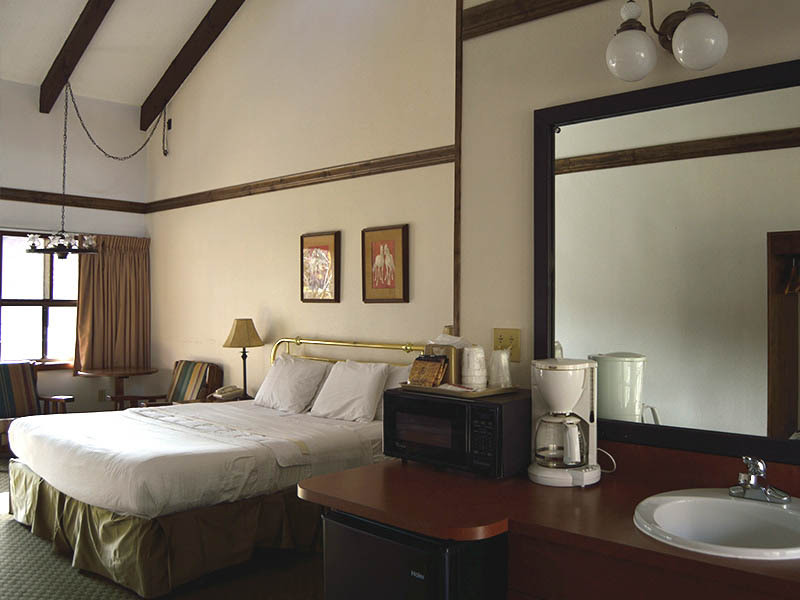 These room accommodate up to three guests. 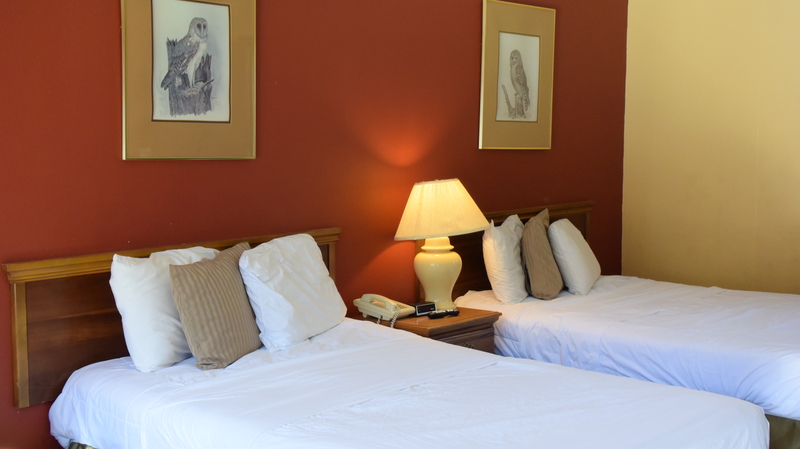 Ideal for families, our Double Queen guest rooms offer ample space for up to five guests. 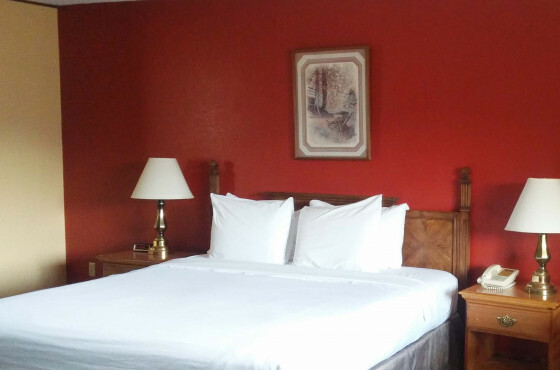 Furnished with two comfortable queen beds, these rooms offer views of Roaring Fork Creek or the Great Smoky Mountains, and have complimentary WiFi, remote control flat-screen cable TV, coffeemaker, microwave, mini refrigerator, hairdryer, alarm clock radio, and private bathroom. Balcony and wood-burning fireplaces upon request (subject to availability). 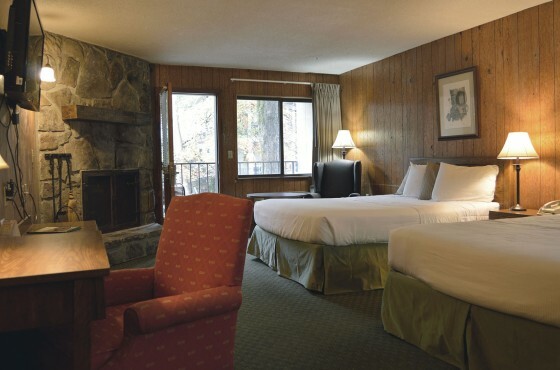 A romantic mountain retreat, our Honeymoon Suites are comfortably furnished with one king bed and a whirlpool jacuzzi. Featuring views of the Roaring Fork Creek or the Great Smoky Mountains, these attractive suites offer complimentary WiFi, remote control flat-screen cable TV, coffeemaker, microwave, mini refrigerator, desk, hairdryer, alarm clock radio, and private bathroom. 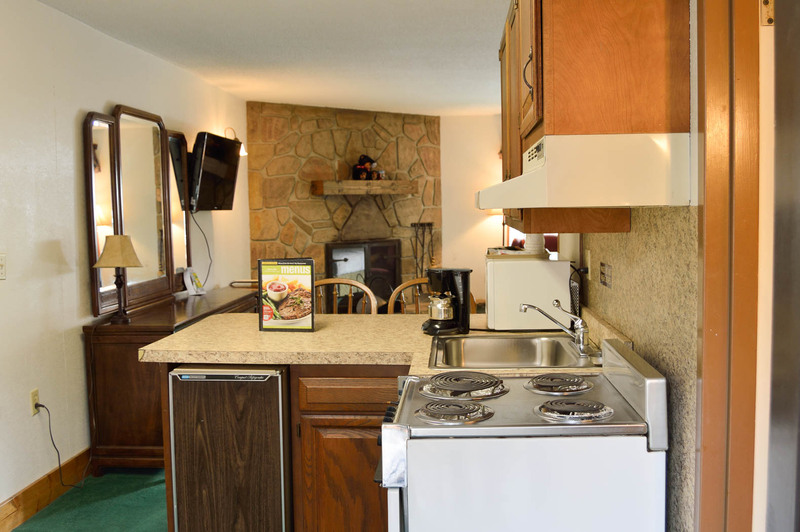 Balcony, wood-burning fireplace, and cathedral ceilings are upon request (subject to availability). 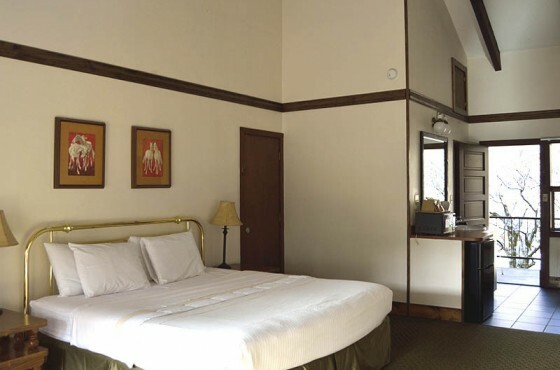 This spacious room features a comfy single king bed and can accommodate up to 3 people. 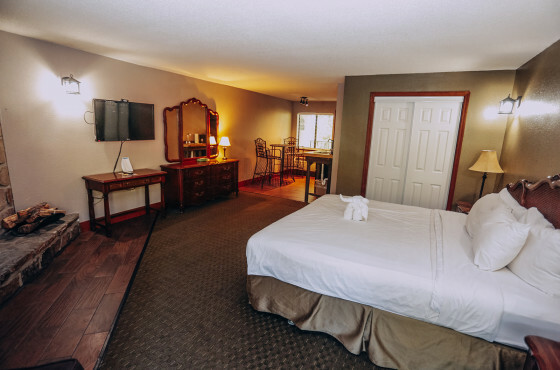 This room includes creek view, mountain view, free wireless internet access, private balcony, coffeemaker, microwave, mini refrigerator, safe, table with chairs, hairdryer, alarm clock radio, remote control 39” flat screen cable television, and private bathroom. 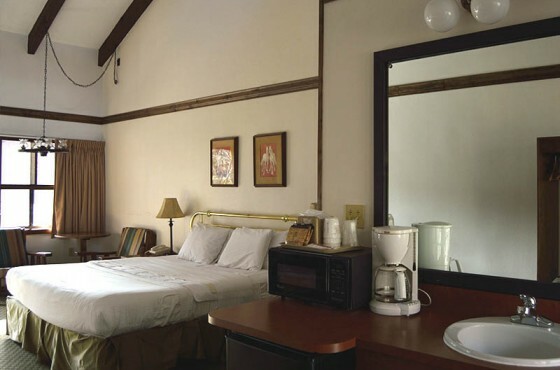 Almost all Deluxe rooms include a wood-burning fireplace which are based on availability. 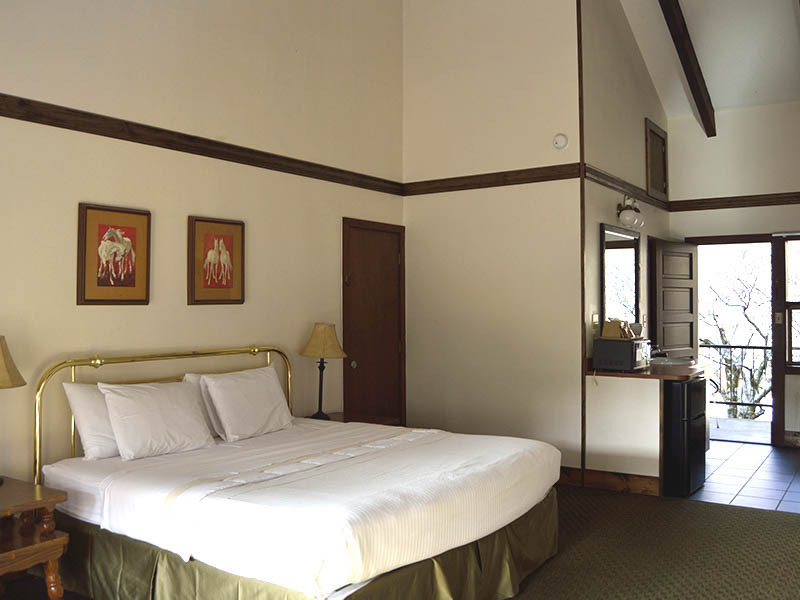 The eight rooms on the top floor of LeConte have vaulted cathedral ceilings which are available upon request.